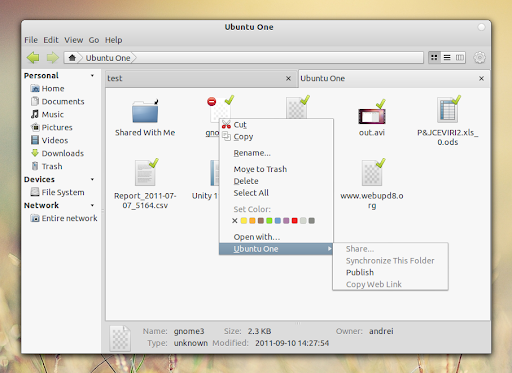 Marlin, the new file browser developed by ammonkey (who's also behind Nautilus elementary) for elementary OS, got two new plugins for Dropbox and Ubuntu One. The new plugins, along with Marlin and other experimental packages are available in a new Marlin daily PPA. Important: this PPA provides unstable packages and should only be used for testing. 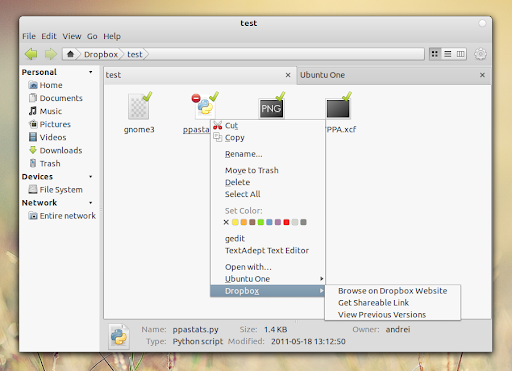 Or you can use Glimpse to try it out. 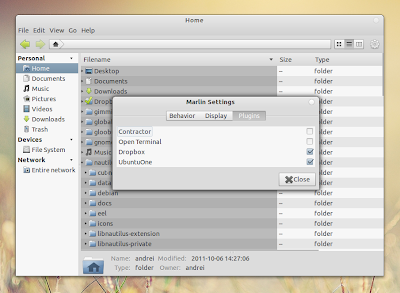 If you're not using Ubuntu 11.10, you can get the latest Marlin as well as the new plugins via BZR.